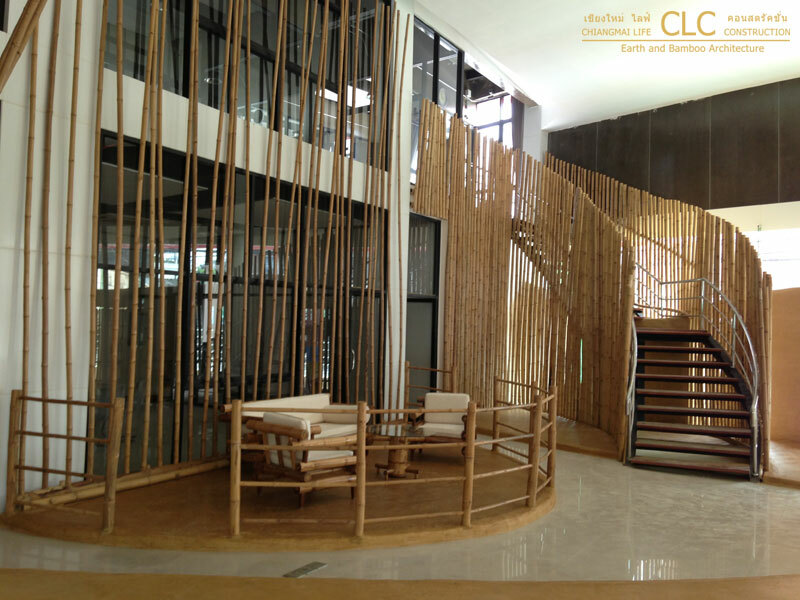 This large modern office building was rigidly and squarely designed and its interior was equally cold and industrial. 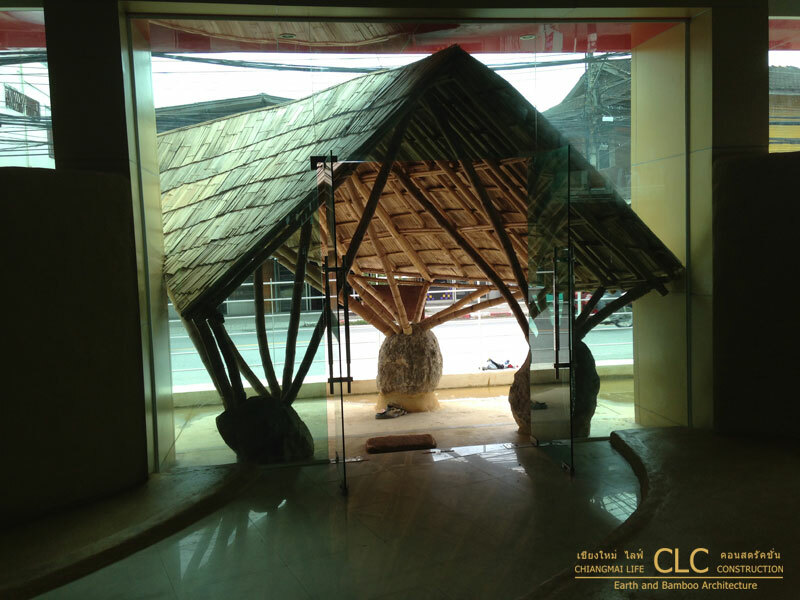 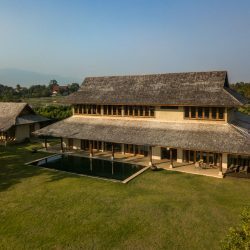 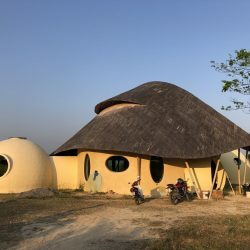 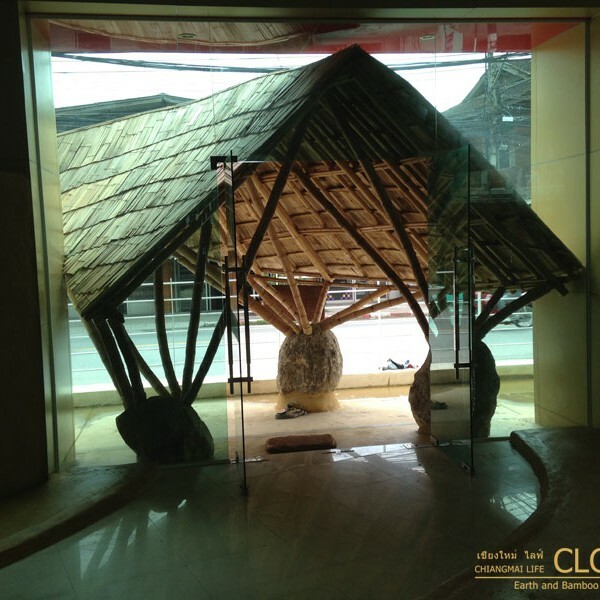 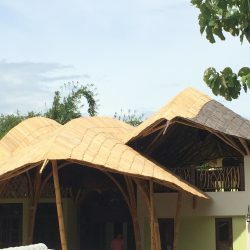 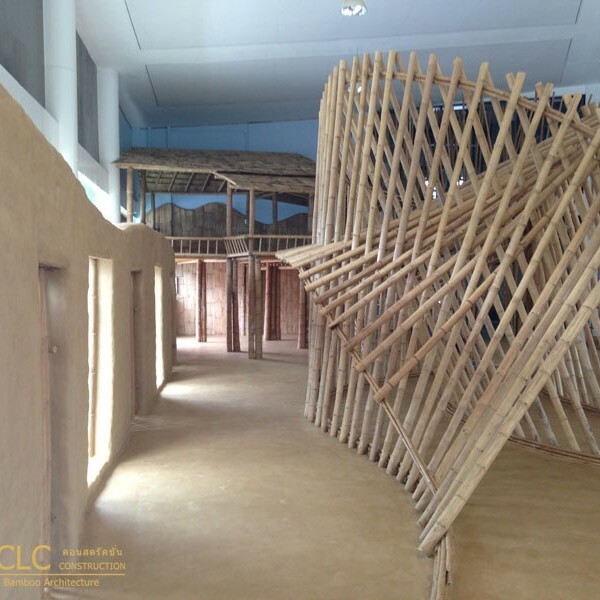 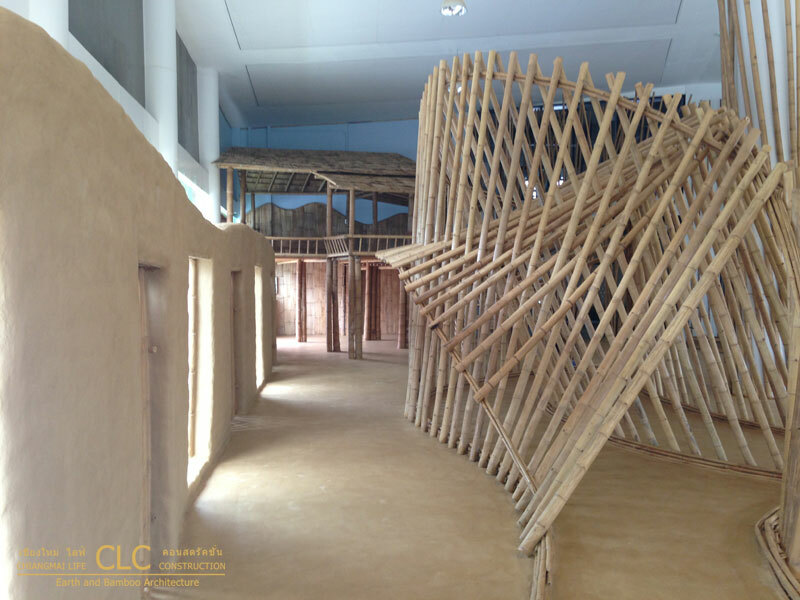 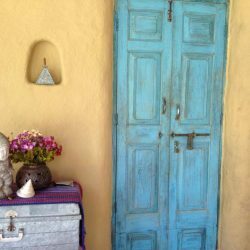 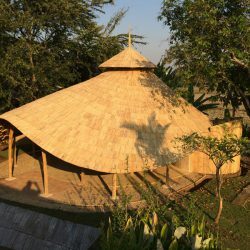 This landscape has been redesigned by Chiangmai Life Construction to reflect a Bamboo Showroom, including various bamboo structures, a bamboo house, earth walls built with adobe bricks upon a vast rammed earth floor. 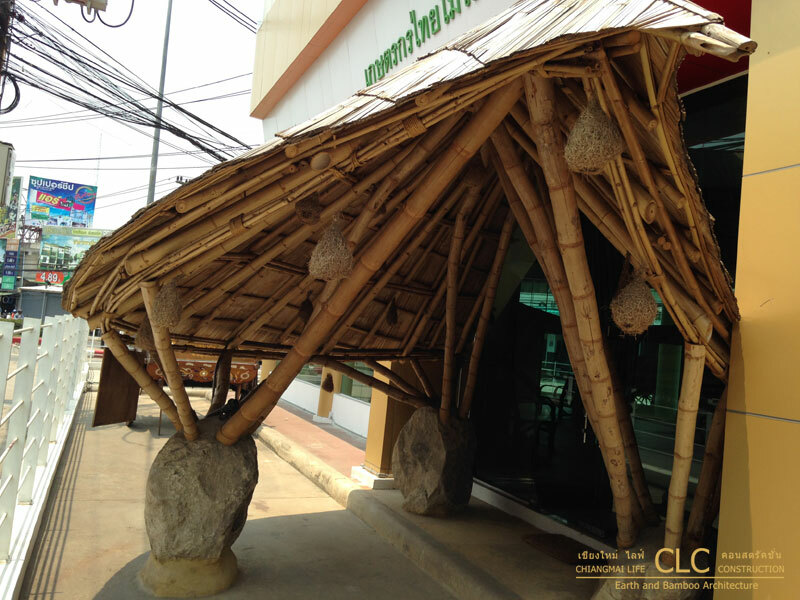 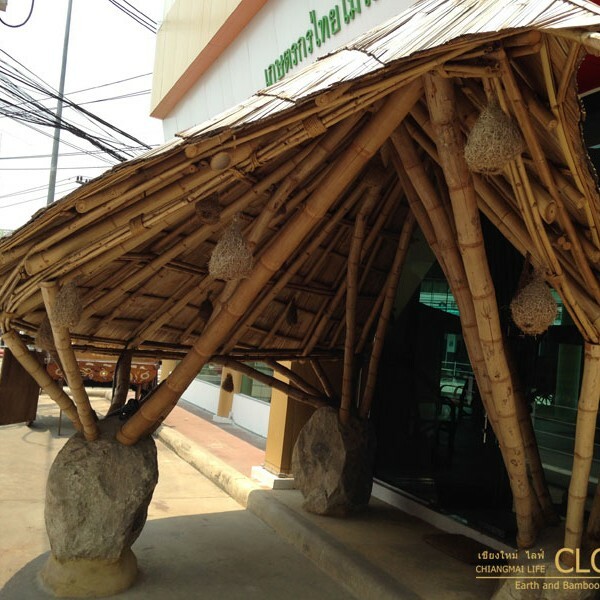 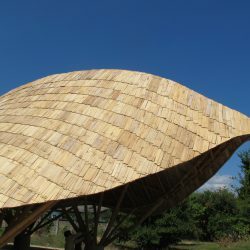 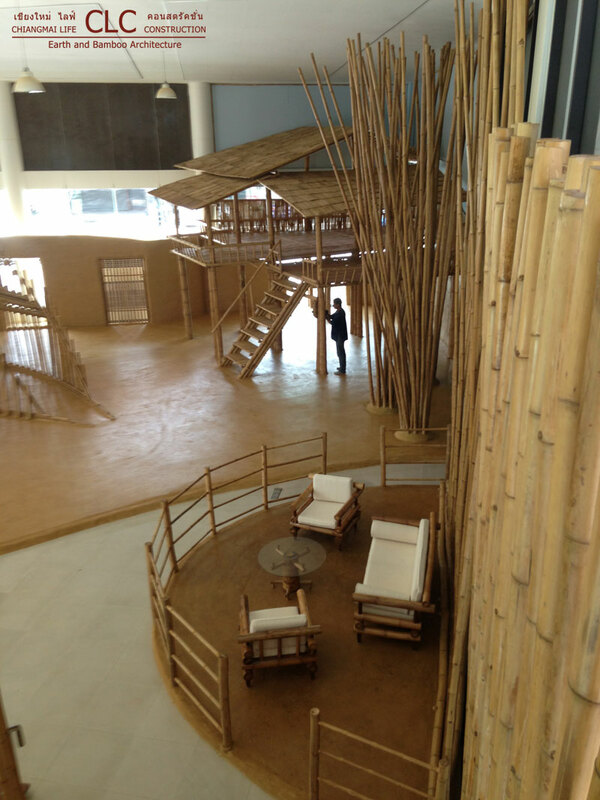 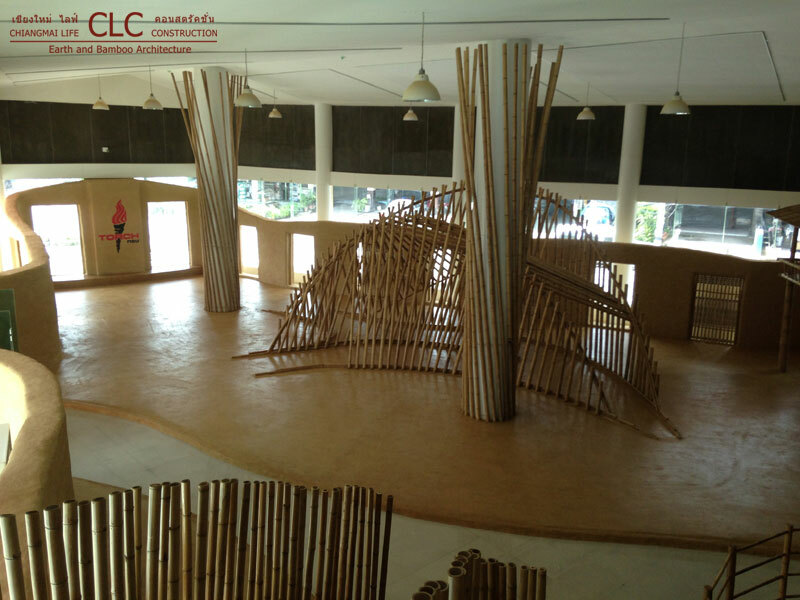 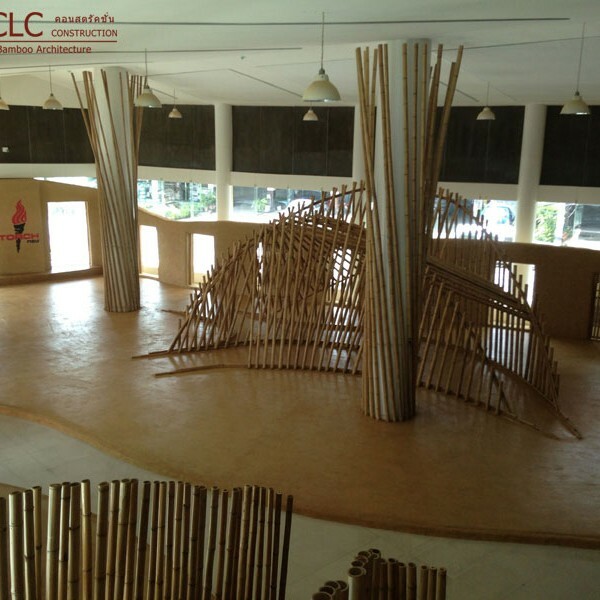 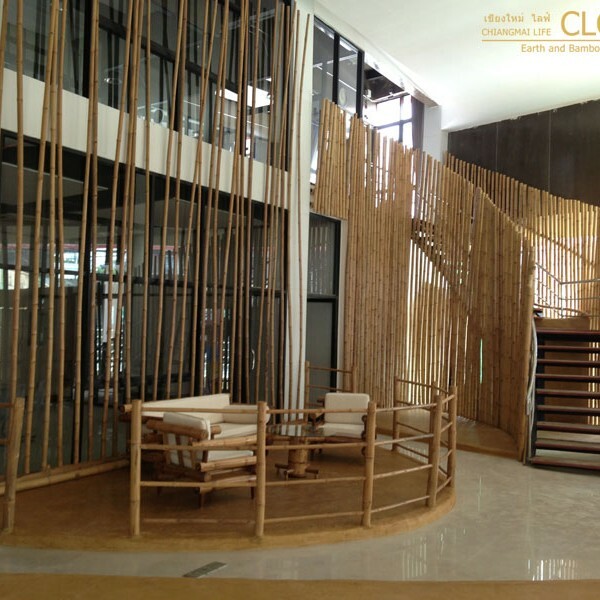 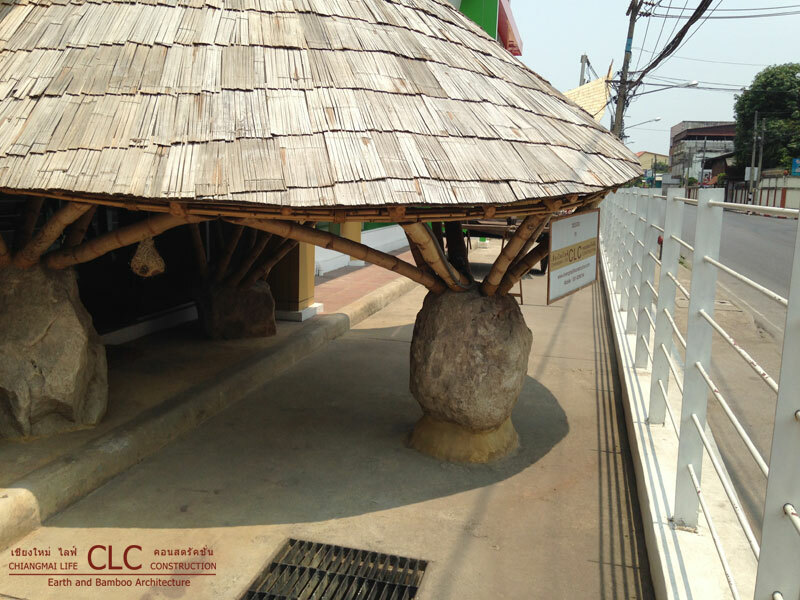 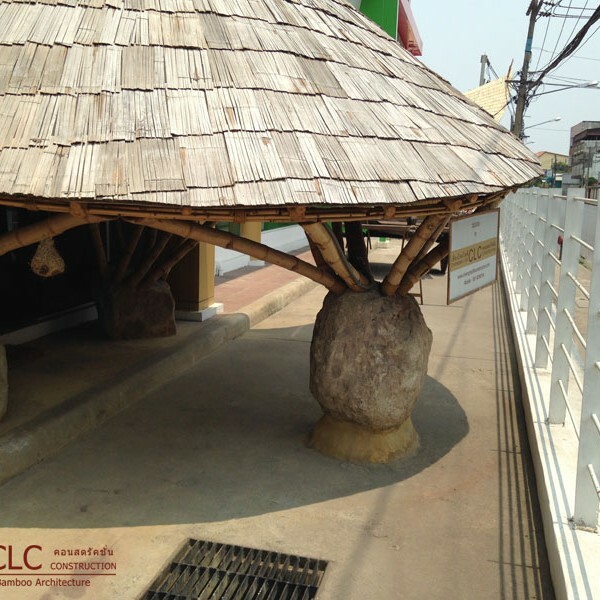 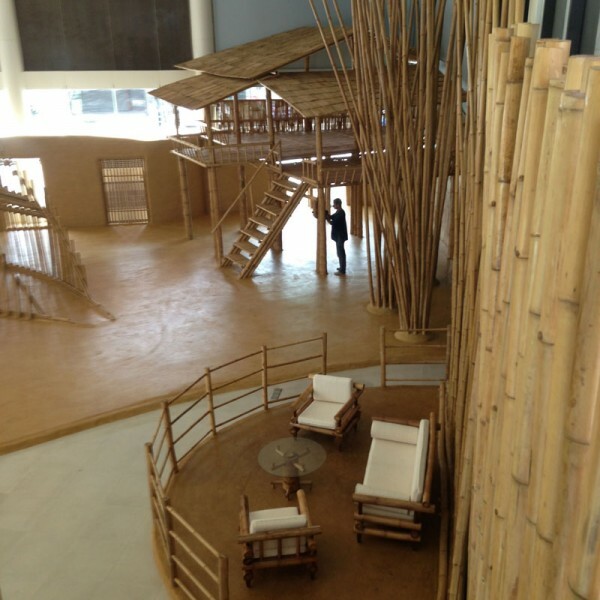 Combining natural materials, to bring a pleasing and welcoming environment, within a typical traditional harsh industrial building, has been made possible by creative designers at Chiangmai Life Construction, utilizing the flexibility of bamboo architecture together with earth architecture construction methods.